In terms of clean energy, Texas is incredibly resource-rich. And as our wind progress shows, we have begun to maximize that potential: The Lone Star State currently produces nearly three times as much wind energy as the next highest state. How did Texas arrive at the forefront of the wind energy economy? One factor that undoubtedly played a vital role: the creation of an ahead-of-its-time policy tool that required the identification of Competitive Renewable Energy Zones (CREZ), as well as the construction of transmission lines to move energy from the CREZ to electric customers. Since West Texas has plentiful wind but not as many people, this initiative aimed to transport that wind energy to populous cities throughout the state. The rules allow the Public Utility Commission of Texas (PUCT) to designate an area with abundant renewable energy as a CREZ, and then approve new transmission lines or improvements to existing ones. 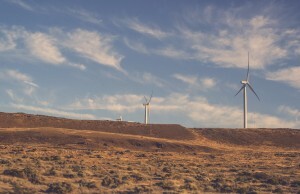 In 2008, the PUCT exercised this authority and the resulting power lines – completed in 2014 – stretch nearly 3,600 miles, moving clean, renewable energy across the state while improving the overall reliability of the electric grid. However, despite these successes, the PUCT recently proposed to dismantle the rules related to CREZ and the approval of new transmission lines, which would be a significant affront to the state’s thriving wind industry – including the revenue and jobs that come with it. Right now, there are no proposals to expand the designation of CREZ and develop additional power lines to those zones. But with the rapidly changing energy landscape, it makes more sense for state leaders to maintain CREZ capabilities in their toolkit, rather than undoing a successful energy development policy. Historically, Texas officials, regardless of political affiliation, steadfastly have supported and facilitated the growth of the state’s energy economy, including oil and gas as well as renewables. And Texans have benefitted greatly. Unfortunately, in recent years, this broad-based support seems to be diminishing for the state’s abundant and clean renewable resources. For example, just one year ago, Texas was considering undoing the forward-thinking policies – established under the leadership of former Governors George W. Bush and Rick Perry – that put the Lone Star State on the nation’s wind energy map. Last year’s legislative session saw an attack on Texas’ CREZ infrastructure law as well as the state’s Renewable Portfolio Standard (RPS), which has supported Texas becoming the number one wind state in the country. Fortunately, despite the PUCT recommending the repeal or limitation of the CREZ statute, the Texas Legislature did not heed these recommendations. Although we’ve come a long way in terms of renewable development, Texas still has a massive untapped economic opportunity. In addition to abundant wind, Texas’ main grid operator projects installed solar power will increase more than fifty-fold by 2030 over today’s installed capacity. What does such stellar clean energy repertoire mean? In a word: jobs. In 2014, Governor Perry issued the Texas Miracle report concluding that the renewable energy and support industries had added 102,000 jobs to the state’s economy. And clean energy has seen substantial growth and development in the three years since the report’s release. As further proof, California has one-fourth the solar potential of Texas – but 75,000 jobs versus Texas’ 7,000. Texas certainly could outpace California and become the nation’s leader in solar industry jobs, which our state’s fast-growing population will need. By moving wind energy to Texas’ urban centers, the CREZ process helped – and will continue to help – unleash that economic growth. And since the sun shines brightest when the wind is not blowing, the CREZ transmission lines can also cost-effectively transport solar power. On top of the jobs and revenue rewards, cleaner energy sources are key to clearing our air and saving water. In contrast to traditional coal generation, wind and solar PV do not emit harmful pollution and require little to no water to produce electricity. In a state consistently plagued by droughts, in addition to increasing population pressure on existing supplies, the water-saving benefits of clean energy cannot be understated. Repealing the renewable energy infrastructure rules is the wrong step by state leadership. The CREZ process has been a resounding success for Texans and there is no need for the PUCT to get rid of a useful clean energy development tool. Rather than seek ways to turn its back on the development of wind and solar, the PUCT should maintain its flexibility and avoid unintentional limitations on the state’s emerging clean energy economy. This entry was posted in Renewable Energy, Solar Energy, Texas. Bookmark the permalink. Both comments and trackbacks are currently closed.